Two challenging Sky Rides this November! There are two special 'Winter Challenge' Sky Ride Local rides available this November. 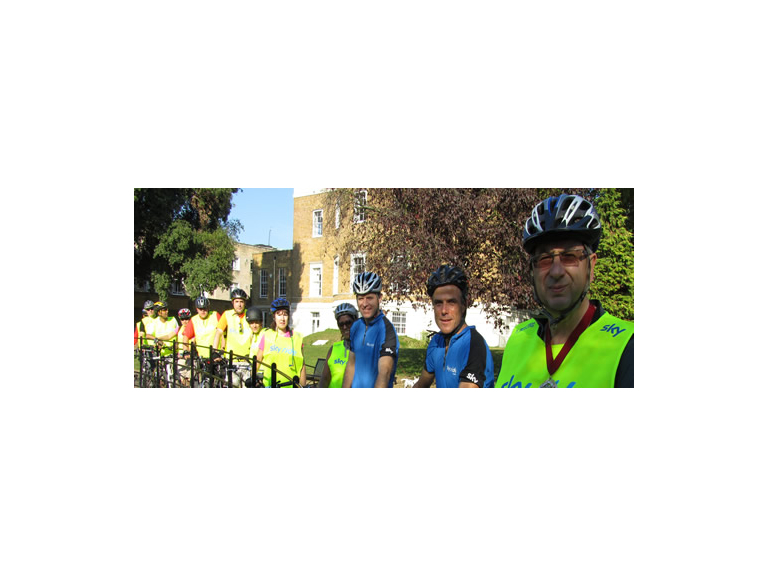 Sky Ride group Sky Ride Local rides are free and guided by British Cycling leaders along scenic planned routes. With different levels there is something for everyone - whether you are building your confidence or are already comfortable on a bike and are looking for that next challenge. The 'North West Watford Countryside Ramble' is classed as a 'Challenging' ride and leaves Cassiobury Park on Sunday 10 and Sunday 24 November at 10am. A circular ride from Cassiobury Park to Bovingdon, within a few miles you will be in beautiful countryside passing local pubs and village greens. The 26 mile route is mainly on roads so a road bike is recommended. Perfect for a blast of fresh air and a ride out in great company! British Cycling are bringing over 1,000 free rides to towns and neighbourhoods across the country. Watford Borough Council, Hertfordshire County Council, British Cycling and Sky are part of this national campaign including free events, activities, information and support to help and inspire people to rediscover the fun of bike riding.